"For the survivors of the Holocaust, liberation was only the beginning." 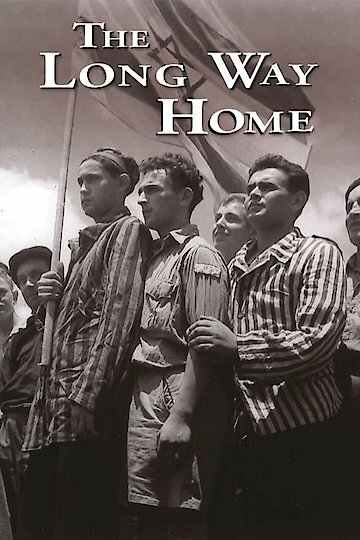 The Long Way Home is a movie about the plight of Jewish refugees after World War II. It is a documentary film and shows how the Jewish refugees contributed to the making of the State of Israel. Where poverty was still common the movie shows emphasis on how poor the refugees lived. Emigration to the British Mandate of Palestine was a goal for many; however, British immigration laws often led them to be held in camps in Cyprus. Eventually the State of Israel was formed and emphasized in the movie. The Long Way Home is currently available to watch free on Tubi TV, Vudu Free and stream, download, buy on demand at Amazon Prime, Amazon, Vudu, Google Play, iTunes, YouTube VOD online.